9" x 9.5" x 3.5"
This purse serves as a small-scale political billboard and represents women's economical power. 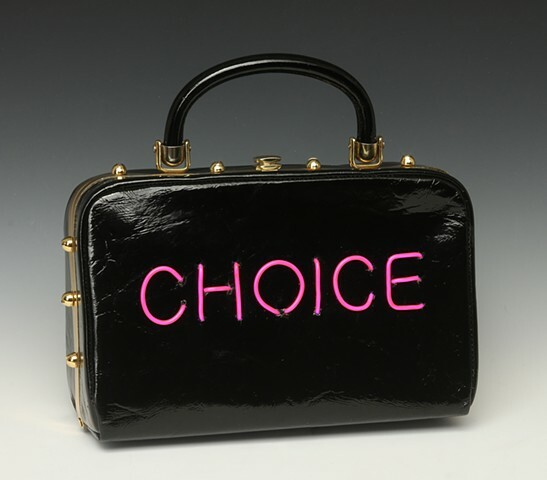 Each Pro-Choice purse has 2-sided text. The text on this purse is created using Electroluminescent (EL) Wire that is lit up using batteries and a small electronic driver that can be set to constant or flash mode.